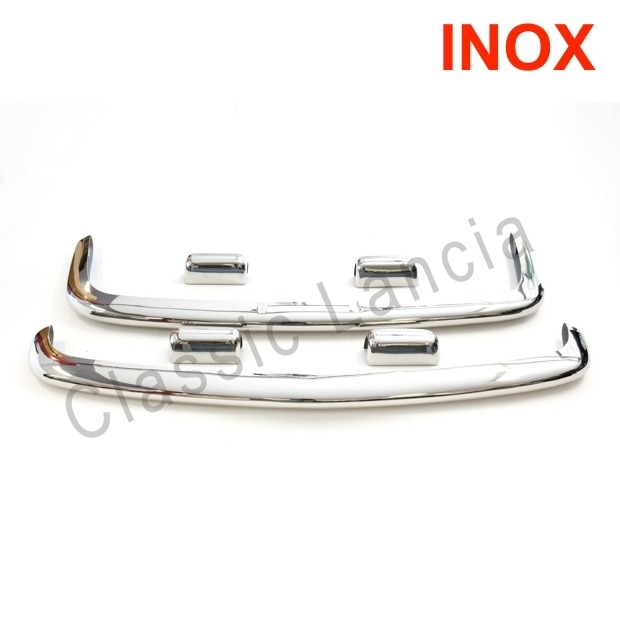 Newly manufactured front & rear bumpers for Lancia Flaminia Touring, including 4 over-riders: 2 for the front bumper and 2 for the rear bumper. 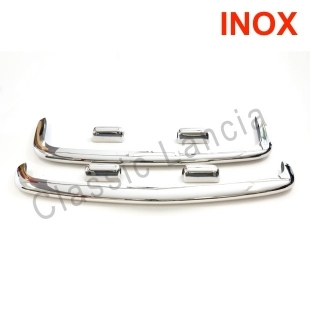 These bumpers are made of high quality T-304 stainless steel with a minimum thickness of 2 mm. The over-riders are made of the same steel and have the same minimum thickness.